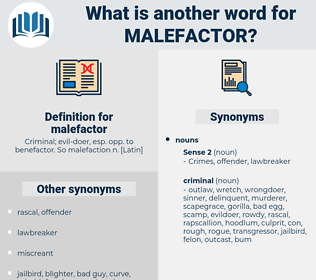 What is another word for malefactor? lawman, gangbuster, saint, angel, innocent. In The Three Cutters Marryat allowed himself to take a little holiday in company with another kind of sea malefactor whom he knew intimately well. 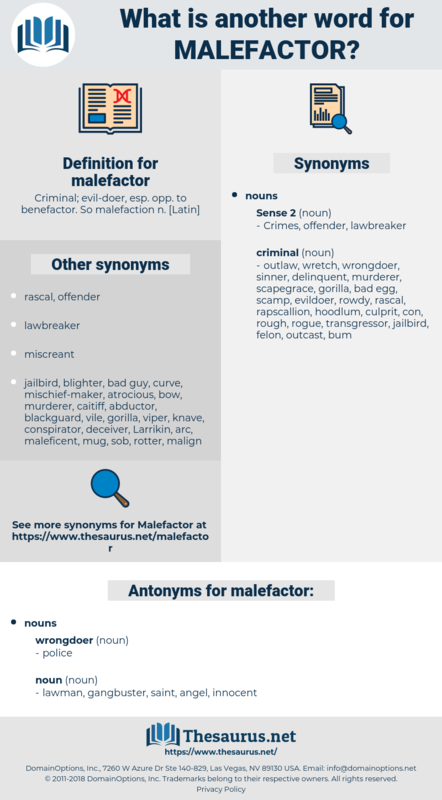 He is a malefactor and nothing else.